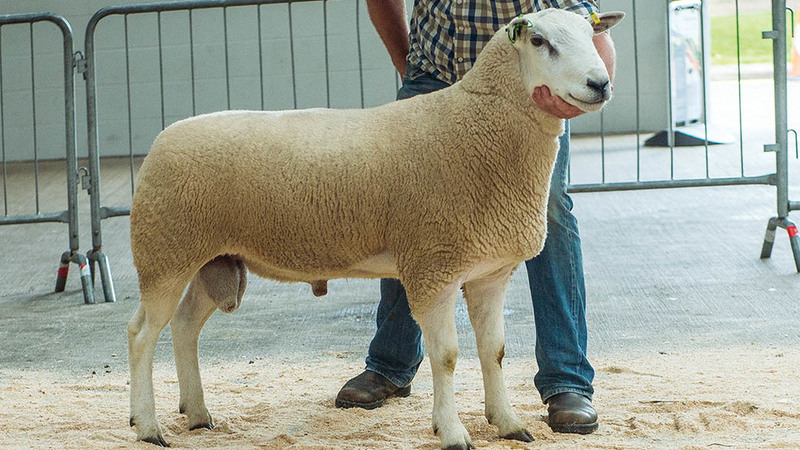 LLEYN sheep selling continued at Carlisle, where prices flew to 9,000gns for a shearling ram of the Borrins flock from H.M. Dugdale and Son, Settle. Borrins Fearless, a grandson of a £6,000 ram bought from Carlisle in 2014, was breed champion at Westmorland the previous week and sold to G.H. Blakey of the Netherton Lleyn flock, Morpeth. Messrs Blakey then sold the shearling ram Netherton Fearless for 7,500gns to J.A. and R. Geldard, Kendal, also taking 6,700gns from Messrs Dugdale for the shearling ram Netherton Frits. The overall pre-sale championship title went to shearling ram Lochar Firefly of the Goldies flock from James Goldie, Ruthwell. By Plasucha Chief, one of the flock’s top breeding rams, it sold it a two-way split to H.M Wells, Cardigan, and Twose Farm, Whitland. Female bidding hit £400/head for the winning pen of shearling gimmers from Mr Goldie, who sold to Ryan Bowie, Crieff. Ewe lambs sold to £300/head for the winning pen from J.G Morton, Penrith, which were knocked down to Conor McConville, Co Down. 105 rams, £1,128.80 (+£223.27); 1,274 shearling gimmers, £148.38 (-£0.96); 666 ewe lambs, £101.72 (+£8.42).